Geneva, 16 Feb (Meena Raman) - Parties at the Geneva climate change meeting under the UNFCCC’s Ad Hoc Working Group on the Durban Platform for Enhanced Action (ADP), will begin substantive negotiations for a new climate agreement in June, on the basis of a negotiating text that was agreed to on Friday, 13 Feb. Since the meeting began on Sunday, 8 Feb. Parties have been making proposals for addition to the elements text which was annexed to the decision adopted in Lima (in decision 1/CP.20). At the closing plenary of the ADP held afternoon of 13 Feb, Parties agreed to the ‘Geneva text’, which is 86 pages long, (comprised of the Lima text and the additions made in Geneva), as the basis of negotiations which begin in Bonn, Germany, in early June this year (from 1st to 11 June). Agreement on the ‘Geneva text’ as the basis of negotiations was greeted by Parties with applause, in what they saw as a text which was “more collectively owned” with their own proposals, compared to the Lima text which was produced by the previous ADP Co-chairs. In general, the conduct of the Geneva ADP session by the new ADP Co-chairs, Daniel Reifsnyder (United States) and Ahmed Djoghlaf (Algeria) were viewed positively by Parties as being transparent, inclusive and “Party-driven”. The ADP Co-chair informed Parties that as a first step, the secretariat will edit and issue the negotiating text as an official document. He said the text will not be subject to modification but to only editorial changes, which will be translated and communicated to Parties. He said the communication will not prejudice the legal form of the agreement and will not prejudge the legal nature of any of the paragraphs of the text or their placement or the structure of the agreement. He added that the ADP has not yet identified which text are to be included in the agreement and which text could be in decisions. Reifsnyder said that the contact group in the morning of Friday had explored ideas on how to make significant progress in the June session. (See further details below). He said the Co-chairs will issue a scenario note outlining the proposed organisation of work and will continue to consult with Parties. He said that at this session, Parties also heard views on Workstream 2 (WS 2) on enhancing pre-2020 mitigation ambition viz. on implementation of the decisions since the Bali Action Plan, the urgency of ratifying the Doha Amendment of the Kyoto Protocol’s second commitment period (CP2) and address the gaps in finance. Prior to suspending the ADP session, Reifsnyder said that in addition to the June session, there will be two additional sessions of the ADP prior to the Paris COP, which will be from 31 August to 4 September and 19 to 23 October and will also be held in Bonn. At the contact group in the morning, Co-chair Djoghlaf invited Parties to give their views on how to start the June session and deliver the Paris agreement. South Africa speaking for the G77 and China thanked the ADP Co-chairs for the manner in which the meeting was conducted to finalise the Geneva text. It said the text is now owned by Parties as it was produced in an open and transparent manner. In Bonn, the G77 and China said negotiations must begin immediately and called for a scenario note from the ADP Co-chairs well in advance. It wanted clarity on how work will advance and how progress will be captured from the Bonn session. It said that spin-off groups might be needed and if facilitators are selected, there should be a balance between developed and developing countries. It said there should not be more than two parallel sessions taking place at the same time, taking into account matters being discussed during the meetings of the other subsidiary bodies. It stressed that discussions on adaptation and mitigation should not be separated and disconnected from the other elements of the means of implementation. It said that WS2 has not enjoyed sufficient attention in Geneva and wanted to know how the two tracks under the workstream will be organised in relation to the technical expert meetings (TEMs) and the accelerated implementation of decisions. It called for consultations with Parties on what should be discussed in these two streams. It also requested the Co-chairs to ensure that the meeting space is appropriate and not small and cramped. Saudi Arabia for the Arab Group said that during the negotiations, while negotiating groups could speak, the right of any Party to also do so should be maintained. For this purpose, it did not support a “square shaped” seating arrangement. Tuvalu for the LDCs said there was value in having Parties give some explanation of their ideas and then go into textual negotiations. In relation to the text, it wanted to first look at the overlaps. Within the Co-chairs’ scenario note, it said it would be helpful if information in the text could be provided on where the overlaps are without giving any textual proposals, in the form of a commentary or table. This could help facilitate the work of Parties in June. In an apparent reference to the remarks by the EU (see below), Malaysia said that a “short text” has been suggested but this can be considered at the appropriate time. It said that substance should not be sacrificed at the altar of efficiency. So far, the process has been open-ended, and it expected this mode of work to continue. Maldives for the Alliance of Small Island States expressed support for transparency in the conduct of work. Given the small size of delegations of its members, it wanted a limit on the number of parallel sessions that are held. It expected 2015 to focus on the 2020 agreement. In relation to WS2, it expected the TEMs to be more focused than in the past on policy outcomes. India said that the ADP process was proceeding with “no surprise”. The immediate task was to further streamline the negotiating text, by addressing the redundancies and duplication. During the inter-session, it said Parties could make suggestions on how to reduce the various options. If there is convergence, the Co-chairs could capture how the text can be merged or brought together. It said that greater discussions were needed on important issues of equity, differentiation, finance and WS 2 issues. One of the key tasks in WS 2 is for accelerating implementation of ambition pre 2020, adding that it cannot just be about the technical examination process. Ecuador was happy with the “no surprise policy” of the Co-chairs. It wanted a “light streamlining exercise” in the beginning as Parties go through various stages of seeing where duplications are. It also said that a “square-room” setting was not favourable and preferred negotiations in a plenary setting with texts on the screen, which could be held with parallel sessions. China wanted a balanced approach for discussions in WS 1 where all the elements are treated equally; and in WS 2, balance should be reflected on the TEMs and the acceleration of implementation, which is important for confidence building. WS 2 needs adequate time. While there is a negotiation text for WS1, China was concerned about a lack of text for WS 2 and did not want a situation where there was “no deal in the last minute” in relation to pre-2020 ambition in Paris. It also called for a technical paper by the secretariat to identify paragraphs in the Geneva text which were similar “without touching the text.” It did not expect the Co-chairs to provide any guiding text for further negotiations. 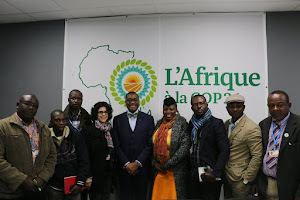 It supported the call by the African Group for one more session to accelerate work in April. Egypt stressed the importance of transparency in the future process and agreed with the EU that there “should not be last minute deals.” It was cautious about negotiations through representatives and wanted an inclusive process for every country to be able to negotiate. Venezuela also stressed the importance of transparency and clear methods of work. It said it was “good not to have evolving methods of work”. Argentina supported the African Group for an ADP session in April or May and not to have more than two parallel sessions. Nicaragua said that every motion that increases transparency will be the way that will be acceptable by all. The European Union said that Parties have achieved the bare minimum in Geneva and that the pace of progress needs to be accelerated. It did not want last minute deals and wanted a clear short text with minimum options. It said that the Geneva text was double that of Lima. It said the mode of work cannot be the same as that in Geneva and clarity in the process was needed. It called for leadership from the Co-chairs with engagement on substance. It called for a Co-chairs’ reflections note to guide Parties. It also wanted the secretariat to do a simple analysis of the duplications and redundancies and ideas of the paragraphs to be consolidated. On the intended nationally determined contributions (INDCs), the EU wanted the “major and emerging economies” to submit their INDCs in the first quarter. Australia for the Umbrella Group said that Parties had missed an opportunity in Geneva to eliminate duplications and improve navigability of the negotiating text. For Bonn, it hoped for convergence on options and wanted clarity to be provided in the scenario note of the Co-chairs. Norway said there is need to look at the issue of differentiation in relation to the whole text and was concerned about approaching the elements in silos. Switzerland expressed agreement with many elements referred to by the G77 and China. It also did not support having more than two sessions in parallel in Bonn. Russia appreciated the way the Co-chairs conducted their work and that the efforts in Geneva were a “major breakthrough” that “should not be underestimated”. New Zealand said that the Geneva text was only a starting point and there is need for fresh iterations as Parties moved forward in the negotiations.